It looks like Velocity Home Entertainment does some of the editing of the movies they release on home video because they all look the same. In "Mafioso: The Father, The Son" the editing of the violence or any sort of action is sped up to make it look "cool". The same goes with "Endangered Species". The DVD box art is not only horrible but misleading. 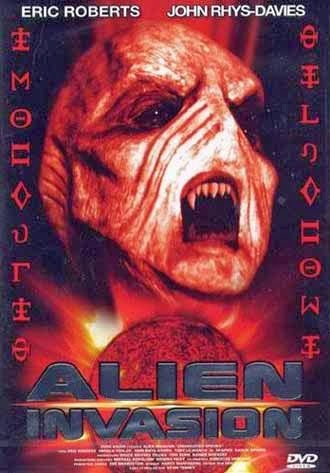 There's a monster on the cover, even though it's about aliens. Direct To Video legend Eric Roberts is a detective figuring out who is killing people in spas and gyms. The plot is ridiculous, the special effects are laughable. The chase scene in this movie is so inept and badly edited that all you can do is stare at the screen in disbelief. Look out for a scene which features the aforementioned "Fast Motion" to make a car chase seem much faster than it really is. However, the editors fail to notice a man out for his evening stroll whose power walk has now reached epic proportions. He went from a middle-aged dork to Usain Bolt in a matter of seconds thanks to the editors. If you want to laugh, rent it now!